“Furious horse” gourmet travel log series “which has become an annual plan. This time, I will introduce the best shop of “cattle and” in the new rhythm. Originally it was popular in Honshu “cattle and”. There is not much familiarity with Mosquito, right? 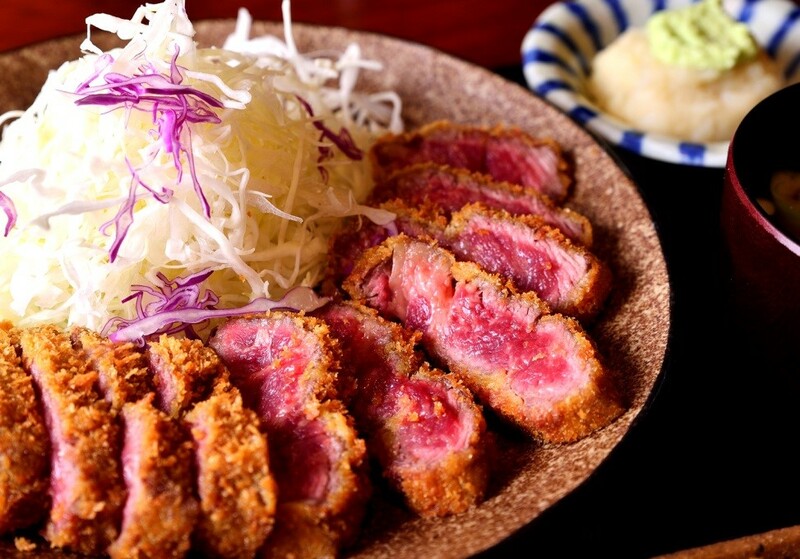 By the way, the definition of a cow is … “Japanese western food fried sliced ​​beef with cooking oil and cooked in edible oil, which is also called beef cutlets, beef cutlets, beef cutlets” (Wikipedia). It was around the beginning of 2016 that beef and began to land in Sapporo. Although it increased to several stores afterwards, I picked up “Ichiga” that I picked up this time, pushing the drumming that writers actually eaten, even in Sapporo’s “cow and” specialty store. The charm of this place is to say “60 seconds at high temperature” keyword. In other words, it is to provide it as “super rare”. Outside is crispy clothing, while inside is finished with juicy soft lean beef. It is the best collaboration and it is becoming a hot horse. “Limited 10 meals”, rare value. I absolutely want to eat this menu! And I got a lot from the menu, especially here I would like to recommend. “Cattle fillet and set meal”! It seems to be a secret that makes taste even more distinctive. Also, “Limited 10 meals” is the best luxury feeling. As a way to get it, let’s eat it on top of a cow with ‘freshly harvested wasabi’. In addition, “rock salt” and “homemade soy sauce” can also be selected, so also prefer here. There is a counter seat in the shop, but there is also a cushion seating where the atmosphere of calm Japanese atmosphere drifts. I think that you can enjoy it even if you ask with a large number of people. When you go to the Shinkokumi area, please try and taste the cow of “Ichiga” once.